The Yonge & Eglinton neighbourhood is one of the fastest growing neighbourhoods in Toronto. The Eglinton LRT is currently under construction and when it opens in 2020, the line will intersect the Yonge Line to make Yonge & Eglinton a major transit hub on par with Yonge & Bloor. Both commercial and condo developers have been quick to jump in and the pending developments will completely transform the neighbourhood in what we believe will be one of the most sought after areas to live for years to come. Yonge & Eglinton also attracts a number of families, primarily because of the excellent schools in the neighbourhood (and some of the best in the GTA) including North Toronto Collegiate Institute. 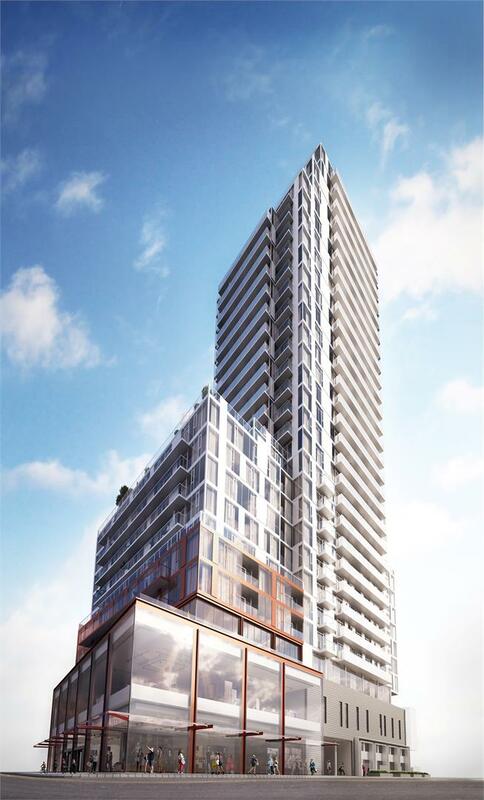 Below are our top new condo projects coming to Yonge & Eglinton. 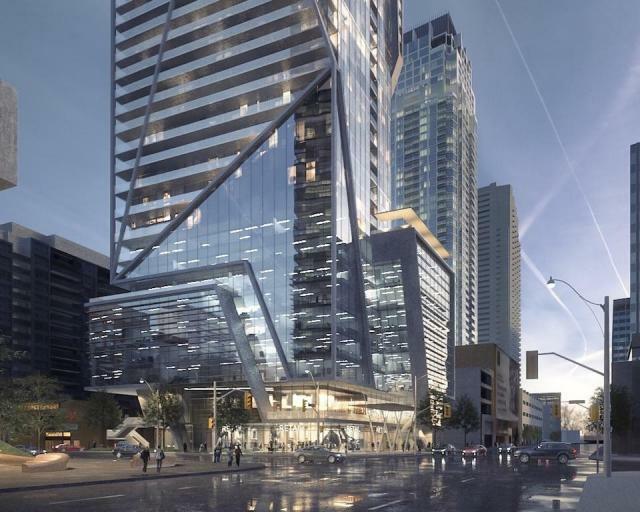 Developed on the site of the old Art Shoppe furniture store, a fixture at in the neighbourhood will be developed at the southern tip of the development at Yonge & Eglinton. In addition to 650 residential suites, the project will feature over 80,000 sq.ft. of retail, 33,000 sq.ft. 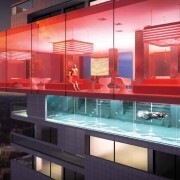 of amenities (including a signature Freed rooftop pool) and lobbies designed by the legendary Karl Lagerfeld. 1 Eglinton East is a new 68-storey condominium proposal by Davpart Inc, and if approved will become the tallest condominium at Yonge & Eglinton. The building is designed by Hariri Pontarini and have proposed a mixed use tower with office, retail and residential suites with direct connection to the Subway systems. 150 Redpath is the second Freed condominium on this list. Designed by Peter Clewes and brings the Freed flair to Redpath. Floor plans are expertly designed with excellent finishes throughout. 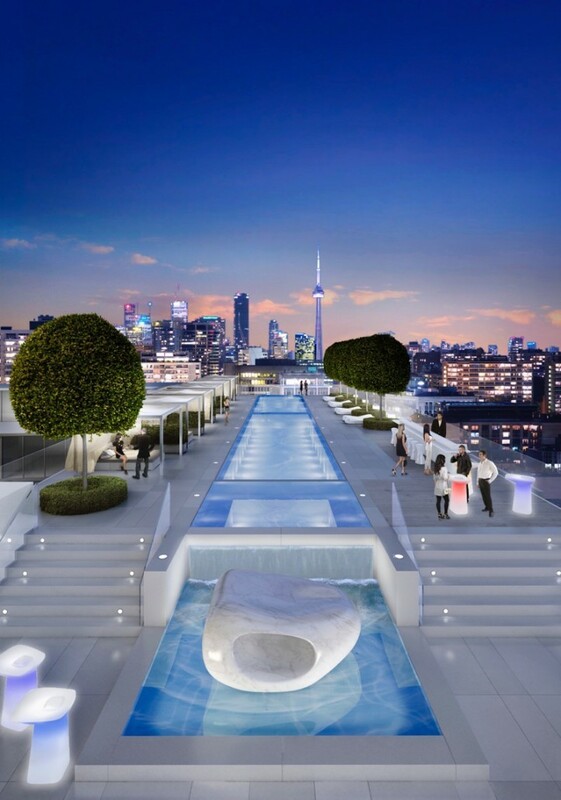 The amenities borrow a lot from what made Freed condos so popular in King West including a 24 hour diner that will deliver to your suite or the rooftop pool. 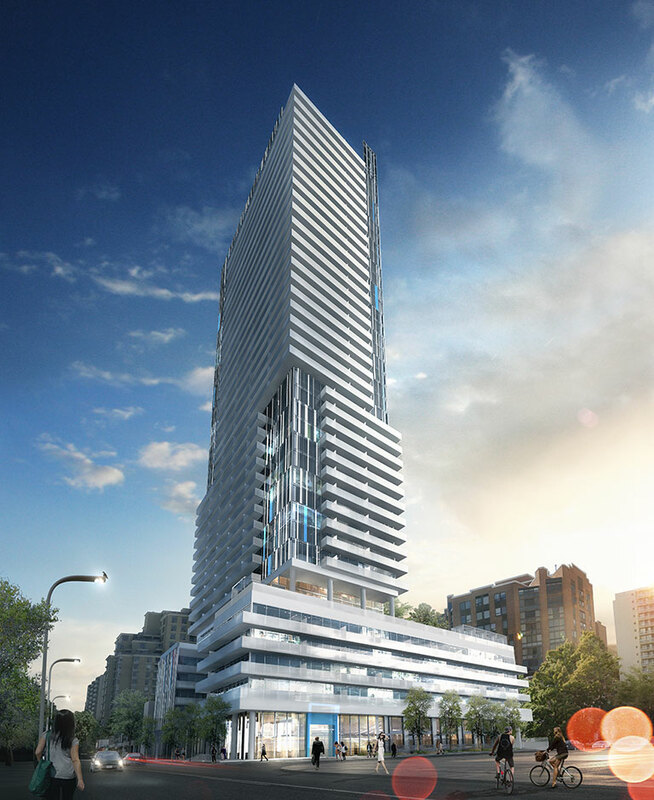 Located on Yonge Street just north of Yonge-Eglinton Centre, Whitehaus will stand 29-storeys and is developed by Lifetime Developments. 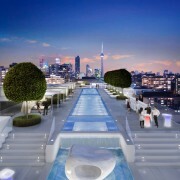 The project will offer a mix of suites and high end finishes and an entire floor of amenities and over 80,000 sq.ft. of retail at the grade. Whitehaus is located just a few short steps to both the Yonge Subway Line and the upcoming Eglinton LRT. 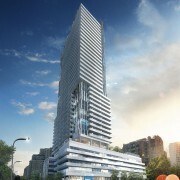 E Condos will become the centrepiece of the Yonge & Eglinton transformation. Located right at the intersection and directly connected the Subway, E Condos will rise 58-storeys and is highlighted by the cantilevered red glass box that will house the amenities and a south facing infinity edge pool overlooking Downtown Toronto. 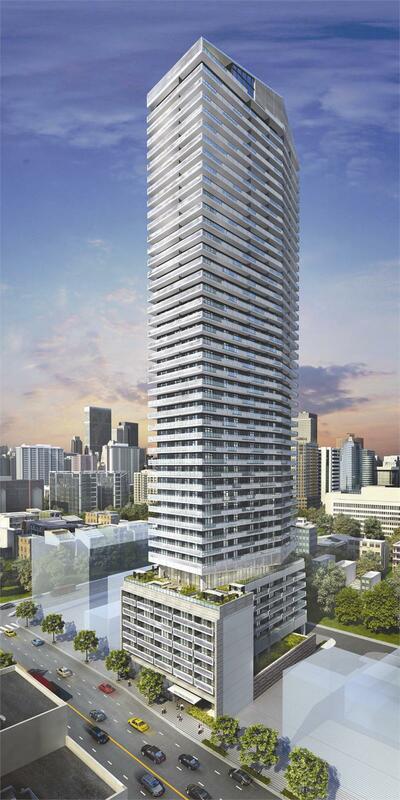 E Condos is sold out and is currently under construction. 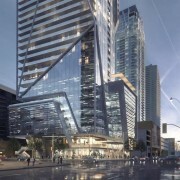 Designed by Manhattan based Pei Architects, 2221 Yonge is a unique pentagonal tower with a prime Yonge Street address. 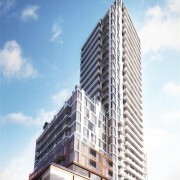 The 56-storey tower is located right at the Subway entrance on the south side of Eglinton. 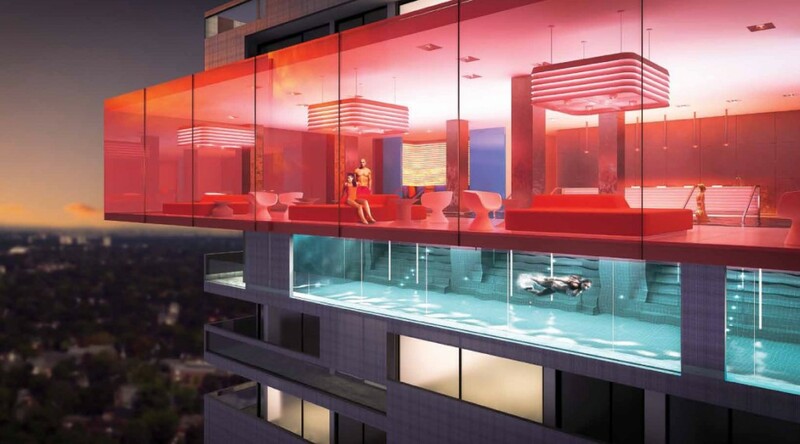 The condo features amenities on the 7th floor, a mezzanine level spa and the Halo rooftop lounge. 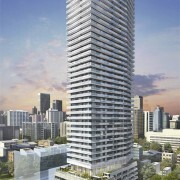 Are you interested in investing in Yonge & Eglinton? Browse our interactive map for the most up to date new condos at Yonge & Eglinton. To get first access and for more information, contact our team of platinum agents to learn more.